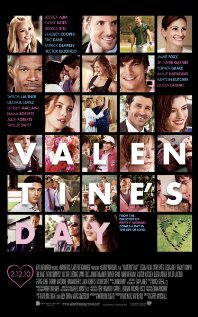 I watched this movie because I thought it might have some romantic comedy elements in it, even though it’s more of a drama, action film. Roberts and Owen are both ex-agents (one CIA, and one MI6) who are working privately. They get involved in a spy gig involving two rival companies and a secret product being developed. They are also lovers. That’s about all I got – I couldn’t follow a thing. There were all these flashbacks which usually work to explain what’s going on, but they just further complicated things. At first I thought it was me, but Nev couldn’t understand anything either. I went to bed without seeing the end and when I asked Nev in the morning what happened, he just looked at me blankly! 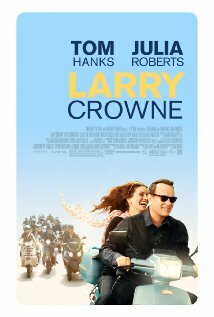 Larry Crowne (Hanks) loses his job during the global financial crisis in the States, and can’t pay his mortgage. In middle-age, he is jobless, wifeless and childless, but rather than become despondent, he looks to reinvent himself. He takes himself off to college to upskill, and there he meets two women. One takes him in hand and teaches him all about being cool (she is not the love interest, more like the daughter he never had). The other (Roberts) is desperately needing to make some radical changes in her own life. She, of course, is the love interest. The love story here is more mature than the average rom com portrays. Both Roberts and Hanks play characters who transform – it’s a story of their move to a better place in their lives. It’s refreshing to have a character take a negative thing and turn it into a positive, Larry always looks outwards and onwards! Larry Crowne is a transformation story and a ‘feel good’ film. It’s not a ‘cracker’ of a movie, but it’s not bad either. Probably not for the young ones, but the more mature amongst us.